Toyotarou has drawn Dragon Ball ever since he was young, always drawing it after breakfast. Toyotarou was initially a doujinshi artist working under the name Toyble, and notable for creating a Dragon Ball AF manga in the 2000s. He was hired by Shueisha in 2012 when he requested being the one to draw Dragon Ball Super and debuted his career as an official manga artist under the name Toyotaru. He created the manga adaptation for the Dragon Ball Z anime 2015 film, Dragon Ball Z: Resurrection ‘F’, titled Dragon Ball Z: Resurrection ‘F’ - Special One Shot. Toyotaru drew two pages of Dragon Ball Super as demonstration, and Toriyama chose him as his successor. Toyotarou is also the official artist of the manga version of Dragon Ball Super. 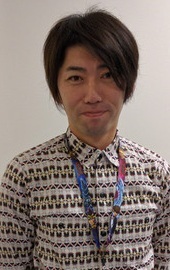 As of the Universe Survival Saga Toyotarou has also become a character designer for Dragon Ball Super, creating designs either by himself or by working together with Toriyama. He also drew Dragon Ball Xenoverse 2 The Manga. We all wanted to see old characters catch up but Roshi going against Jiren was too much ? No ? Ok then. This guy wasn't the best choice. He is a decent artist, but he is a lousy writer, even more than Toriyama. Incapacitado de ser responsável pelo mangá de Dragon Ball Super, totalmente amador e despreparado. Toriyama was right, this guy can actually mimic his art, writting and humor perfectly, the only problem is that this man is wasting his time writting fanfictions for an incredibly mediocre franchise as is Dragon Ball, hopefully he wakes up from that dream that hurts him and holds him back.